The Young Referee of the Year award honors a young male and female referee active in Eastern Pennsylvania Youth Soccer. Young Referees must be 19 years old or younger and registered with the United States Soccer Federation (USSF) as a certified referee. Referees are a vital part of the youth soccer program. Young referees are the future of the program. Many of these young people started out on the field as players and for a variety of reasons, have chosen to give back to their local program by serving as referees. U.S. 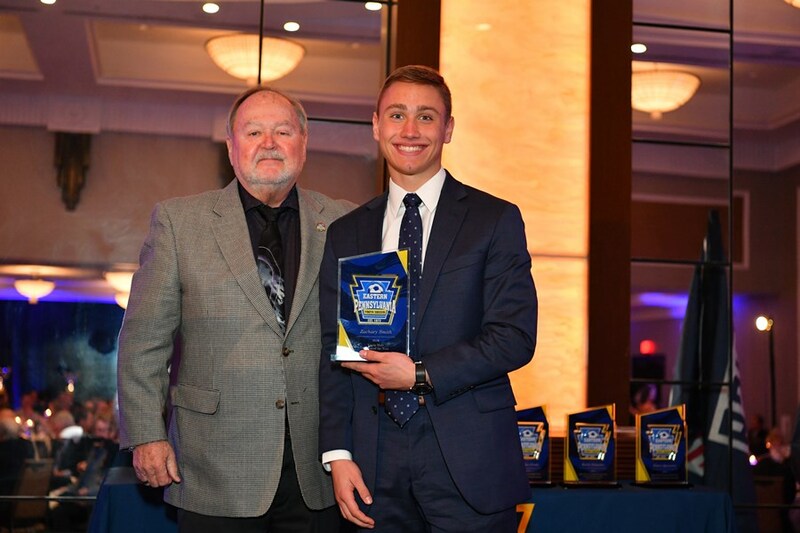 Youth Soccer created the Young Referee of the Year Award in an effort to recognize the extraordinary effort and talent exhibited by these individuals. The state Youth Referees of the Year are recognized at the Eastern Pennsylvania Youth Soccer Awards Reception each March. State winners will be submitted for regional and national consideration. The national Youth Referees of the Year are announced at the US Youth Soccer Awards Gala, as a part of the US Youth Soccer Workshop at the NSCAA Convention each January.